Premium live chat and help desk software for business websites. E-commerce and customer service software with built-in ticketing system. "LiveChat the best chat for your company"
LiveChat without a doubt is the best live chat software there is and that's why we use it on our website. It has a comfortable interface, both its web version and its mobile version, which makes the work faster and easier. It has a good ticket system that is essential to keep track of requests from our asuarios, plus they also serve to provide support and address concerns. And you can even integrate it with a ChatBot to speed up the work and it's LiveChat is very well coupled. We do not have many negative things to say about LiveChat, the truth is that this program fulfills what it promises. However we can mention that when program updates are made, there are usually problems in the configuration. We recommend you do not think about it anymore and use LiveChat to attend your customers with live chat on your website, we assure you that we did a long evaluation with other programs and the others remain cuts, without a doubt LiveChat is the best. - You can implement it in the cloud, in Windows, Mac, Mobile with Android or iSO. - Keep track of visitors to your website. - Integrate it with third-party platforms. - Quick response for your clients. Our company offers design services and technical solutions (https://www.cdillc.com), and we needed to use a program that would allow us to provide support, technical assistance, answer questions and attract new customers who visit our website and LiveChat was the perfect program that allowed us to apply all those needs. What Live Chat solution do you use? "It is one of the most complete"
I'm using the live chat about 6 months ago and its a great product with a lot of features. highly recommended for any business to use. I love the feature that syncing social media inbox messages to the live chat which can easily manage all the inquiry in one place. planning to buy more agents in future when we grow. I wish I had one. They give you excellent functionality for free and even more if you upgrade. Pricing is inline with other services. I'll update this review should a con present itself. If you want to take advantage of the added Pro features, you can even get to try it before committing to the subscription. Livechat is a complete chatting application that even offers an entry-level free version to let you try it out. And even at this level, despite its branding and some restrictions in features, it offers a full view of their functionality. "Chat and Bot services for technical website"
The product's capability is outstanding but what really puts it over the top is support. Having a chat link direct to their experts from within the Dashboard is just plain amazing. Some of the products I tested had email support where I saw 24 hour turnaround. With LiveChat, the resolution was literally minutes. The UI is very well constructed on desktops and mobile devices, offering visitors an elegant tool for interacting with our agents. The Ticket System is a nice feature for making sure that visitor requests are not overlooked. We're using LiveChat together with ChatBot and the integration is very powerful. There is a seamless transfer of visitors from a bot to an agent, and the ticket process captures any requested transfers outside of agent hours. 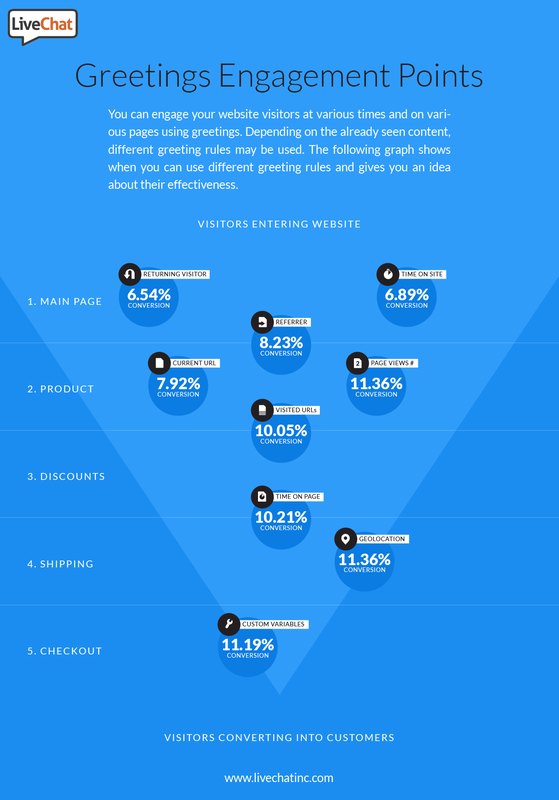 I wish the metrics offered a more comprehensive view of visitors and chats. I'd like to be able measure our improvement in visitor engagement as a percentage of visitors not just in chats. I also wish I could clean out the chat archive, getting rid of those that are from our testing. Be sure to include LiveChat in any evaluation of chat solutions. When you consider capabilities, support and the UI, the others fall short. We are a representative for industrial CNC Nesting Software. Our website, https://pepnesting.com needed to have the ability to interact with visitors and lead them through the complex set of features and capabilities the product offers. "The most updated tool at this moment, Livechat"
There is no detail that I dislike. However, it is a path that still needs to be explored and strengthened in order to continue using this valuable tool in the individual and work connection, along with practicality and high quality communication service. It could improve the stability of the connection according to the internet. Program recommended by the wide range of functions, with the simplicity and quality of connection and communication. Allowing to cross borders at a personal or individual and business level. With a high technology service and with time optimization. Easy to use with any application to favor communication channels. Communication that crosses the borders. Allowing from an interview, meeting, videoconference, expansion of communication with high range of functions and cutting edge service in the shortest time and with the best quality. The ease of use.. The App overall is very easy to use, and to navigate through. Alot of the options on the app are self explanatory and are very easy to learn. I was able to teach myself how to use the program almost all by myself. There was no credit card needed for sign up either, which is great. Giving out a credit card number is rather nerve wracking, so not having to hand that out was good. I really like being able to transfer one chat from one Customer service rep to another. It makes things so much easier on everyone. I like the way the site is set up. It looks great and makes me excited to use everyday. While there are various different levels for pricing I feel for a live chat app, the prices should be much cheaper. While there are many extra options available for each price tier, I feel that these options should be included all together for set price. An affordable price for every company.. big or small. However, if you need to set up different agent groups or need more than one automatic trigger, you will no doubt be paying much much more for these options. I would like to be able to use my smartphone with this app. Not everything functions properly, and crashes often. I would not recommend using smartphone for primary use or even for use on the go. Just be ready to spend money for the things you are looking for... otherwise, it is a great app! We are receiving calls for Medical Equipment, whether it be faulty pieces, replacement pieces, or new orders. We also help resolve issues with Purchase orders,locating vendors and service representatives. "Always keep in touch. Very useful." I can say that all communication is great and does not have any delay. All facilities are open and understandable so we don't lose our time to learning about that solution. An amazing tool which can make our job faster and qualification. With this platform, you can simply assist your customers and give to them a correct answer in time. It is a big time saver. I like that of every chat and always develop the quality of our support to our customers. With the opportunity of this platform, we can do much more than ever. We can cooperate with our clients and always be sure that they have all our support. "Livechat makes customer support a snap"
I enjoy the Livechat app because its very customizable, pairs with a mobile app, allows for auto-responses, has full email and response integration, has full website integration, and maintains a low web profile. Also, the livechat reps are quick to respond and helpful. Some customers have reported that the livechat bubble is a nuisance when it pops up and they can't seem to get it to "go away." Also, occasionally a reply sent through the chat interface isn't received by the customer in their email, but this could also be a server anomaly on the customer's email provider. Tailor it to work for you. Instant answers to questions and FAQ's by customers. Also order support, checking the status of shipments, etc. Its beneficial because even when I am away, chats get forwarded to my email, which I can reply to within my inbox, and they are delivered to the customer. "LiveChat is a convenient Chat"
LiveChat Easy to use and convenient enough. The program allows us to serve customers and answer their questions faster than via email and more efficiently than by phone. Customers are satisfied that they do not have to wait long for questions that arise. Always it is necessary aspires to any convictions, but I yet can not offer anything concrete. If you are a team that wants to always be a step ahead of competitors, then LiveChat is for you. Nobody wants to wait for an answer to your question a day, or even two if all the problems can be solved immediately. This program helps our team, quickly and efficiently serve customers without forcing them to wait. Also, we can more easily and quickly monitor what interests our customers the most. When analyzing our work, we realized that orders increased on our site after we started using LiveChat. And feedback on our work has become higher. "Chat en vivo, la herramienta más actualizada en el mercado de las comunicaciones." Lo que me gusta más es la facilidad del chat en vivo, la interconexión de personas para tratar diversos temas de trabajo, sin estar presencialmente, desde cualquier lugar del mundo como estando reunido en un mismo espacio con la mayor tecnología, calidad de servicio y con la mejor optimización del tiempo invertido. Fácil uso. Permite conversar de temas de actualidad a través de muchas aplicaciones con el mejor manejo a cualquier hora, de la mano de especialistas en diversas áreas. Su uso es muy sencillo y permite mantener conocimientos actualizados en múltiples áreas en tiempos establecidos con una optima conexión y adecuada comunicación. No hay detalle que me disguste. Sin embargo es un camino que aún falta por explorar y afianzar para seguir usando esta valiosa herramienta en la conexión individual y laboral, de la mano de la practicidad y alta calidad de servicio en la comunicación. Podría mejorar la estabilidad de la conexión de acuerdo al internert. Programa recomendado por la gran gama de funciones , de la mano de la simplicidad y calidad de conexión y comunicación. Permitiendo atravesar fronteras a nivel personal o individual y empresarial. Con un servicio de alta tecnología y con optimización del tiempo. Fácil de usar con cualquier aplicación para favorecer los canales de comunicación. Comunicación que atraviesa las fronteras. Permitiendo desde una entrevista, reunión, videoconferencia, expansión de la comunicación con alta gama de funciones y servicio de punta en el menor tiempo y con la mejor calidad. "Let's Chat About Live Chat!" LiveChat is a an awesome platform for on web interactions with customers and for being about to flag certain conversations, and to redirect inquiries based on the context of the chat. I also love that you can get a live view of what the customer is typing, before its sent, so you/or your support team can begin formulating a solution before the message is sent. LiveChat is suiting all of our current user needs, and we don't have any reservations at that time with the software. Questions from users on our website/support requests. Also, support request that require further explanation or investigation, we can flag, and have those flagged chats sent to our success team to follow up with. Benefits are pretty endless, primarily being convenience, and customer satisfaction. "Helpful tools and big care to customers." I have the much better way to help our clients. As for me, it is quicker than email and much efficient than the phone. I guess it is always great when I can help with the correct choice to my customers. Actually, this very nice software which brings a lot of help to our company. Till now I don't have any bad problems with it and I hope I will not meet them. With LiveChat. The best way to have the opportunity to increase the number of your clients and always support them. You will make your customers buy a right stuff for them with the much better assist. The program is easy to use for everyone. Much better than we can evaluate the end of every chat and always develop the quality of our support to our customers. Also with LiveChat, we can do what we can't do on the phone. We are working with a higher level of our working way. "The easiest way to earn more money every month." I like that I can react faster than ever. That software works quicker than email and more effective than the telephone. I like to work on this platform because I do not want to make my customers waited. I don't know the answer for what I don't like in this product. I guess everyone will like it the most open way to make customers happy and increase your sale. Also, I would like to admit that help service always cares about the client and they do it well. Definitely, I will recommend it to you. As I like that software a lot. You will like the fast way of working tools. With LiveChat you have the ability to increase your customers and always will keep them near you. The best way to assist customers with purchase. We like to work and help our customers. We can contact client on our site and just push them into to correct direction. We have the ability to receive an assessment at the end of the chat. We are always working on improving the quality of our support. Also, we can avoid the long line and surprise our clients with fast answers. LiveChat is an important tool for attracting customers to the site in my company. Since the introduction of LiveChat, our volume of incoming phone calls of customers has decreased by an order of magnitude. Most of our customer acquisition now takes place on this platform, through the form on our website. Customers like to have immediate access to someone when they need it. And LiveChat includes great opportunities that provide metrics and data to improve planning, tracking. I want Livechat to introduce a feature that allows users to call us on the Livechat dashboard. It's easy to use and easy to learn how to use. It's frustrating that there is a typing lag and that the customer's bubbles move around, but it makes it so the agent supports does not have to prioritize the chat, LC does this part for you. We use it to answer questions from users on the site. We have a lot of canned answers prepared, but constantly collect new questions to add to our FAQ support and experience new ideas for art products. I like the simple traditional interface. Recently there was an update that added more information to the dashboard that I really don't use, like location data. There is the option to switch back to the traditional interface. The simplicity of the software. Easy setup of chat agent setup. Setting timers for when chat is available. Customizing the chat bubble so customers know chat is available or not. There is a reporting section that shows number of days you have had chats, chat satisfaction scores, availability, number in queue holding for an agent and survey results. There is even a dashboard that shows real time and 7 day stat you can show on a TV on the wall. LiveChat did a great job of letting us do several trail runs before we purchased the product.This allowed us to test it out with customers before our purchase! With other SaaS apps we use, the available plug-in app selection is large. LiveChage has a handful and I am sure as time goes on they will continue to add more as they receive feedback from their customers. After doing research on the different chat options out there, we found that LiveChat met our needs for how we wanted to use it and also grow as time goes on. Pricing was in the range we were looking for with the features we needed. LiveChat has helped us with simple requests that we can turn around quickly. Before LC, those requests would go into our support software and could sit there for a few hours before they were touched. It is also another way for our customers to contact us. Livechat is super easy to use. You can have "canned" responses to the top questions you are asked. We are typically asked the same 5-10 questions.. so we set the canned responses for quick access and it's easy to respond to multiple messages at once. It also allows you to keep the same message for multiple agents.. this way, we aren't giving out different answers every time. I also like that when I am logged in on the computer, if I get a message it says "INCOMING CHAT" and alerts me. This is helpful because I an often multitask. I dislike that for the basic package you can only have one agent. I also dislike the application for LiveChat. The app on android does not work properly. I will receive a message, and go to chat and it says i'm "offline".. when i'm connected to wifi. I will log out and log back in and I lose my chat. Its unfortunate that it doesn't work well because we lose a lot of business by not being available on weekeneds. Definitely get LiveChat! We've had all kinds of questions from customers and potential customers. People like the convenience of having someone to chat with over the computer. We've learned shoppers are lazy and impatient. They want answers right away. They go onto our website and immediately chat us to ask for the price of our product.. even when there is a big green button there that says SHOP. There are several times that I was banned from the system automatically, but I think this can happen to anything. Otherwise I have zero problems with LiveChat. It is easy to use and easy to learn. It's disappointing that there is an input delay and that the client's bubbles are moving, but it does so that the support agent does not have to prioritize the chat, LC does this part for you. "My Review of LiveChat - Easy to Use and Very Functional "
When it comes of taking care of our customers and understanding their needs we leave nothing to chances and this is where LiveChat. It is easy to deploy and use. It allows easy interaction with out business customers and we can easily address their needs, understand their behavior as well collect necessary information that can help use better our business while meeting their expectations. With LiveChat has been a great tool and could not ask for a better tool. I have no dislikes about LiveChat. For as long as the internet connection is strong, this tool works well. When it comes to address your customers needs, there is no better tool than LiveChat. It comes with great live chat feature and remote assistance features that will improve your clients experience. With this tool, it is also easy to collect customer data that will help in bettering your business. It is one tool you do not want to miss. With the help of LiveChat, we are able to address our customer needs and this helps us better our business by meeting clients expectations. It is the ideal solution to provide an optimized customer service. LiveChat improves communication since the client can easily access the chat window and make inquiries to support agents. Its main panel is easy to use, it provides basic analytics that show the customer's experience broken down into different metrics. -Time of chat duration, number of resolved cases or the customer experience with the support team-. It is integrated with social networks, which improves the customer experience. Also, allows customization of graphic elements such as logo chat company and agent profiles -. LiveChat provides an adequate solution to our needs. We have no complaints about the software, it works quite well. Although I could suggest adding more integrations of traffic analysis tools. LiveChat is light and intuitive software, useful to improve the customer experience. It is a tool that helps us get closer to the client. The chat allows us to communicate assertively and provide customized solutions. It is an optimal solution for our company. "Pricy, but does the job well!" Livechat allows our team to provide support and sales to our customers in real time by removing the clunky UI problems that a lot of chat providers just don't get right. Their UI requires almost zero training for each employee and gives us amazing insight to each customer and their problems. The ability to prevent messages before a customer sends them helps us fight fraud and respond faster. The uptime is highly dependable and something our team relies on. If your business relies on instant and easy communication with your customers this is the best option. "Our clients love chatting with us!" We use LiveChat Inc on our current website and we're planning on putting it on our sister site as well! Our clients love the convenience of talking to us while they're browsing to answer any questions they may have. The statistics logging is a great bonus as well. We've learned quite a bit from the bread crumb logs that the service provides to see where our clients go before reaching their order. The UI is a bit cumbersome but overall once you're use to it, everything is relatively easy to find. We eliminated quite a bit of quick calls and freed up some time with our reps not having to answer the phones. "Loved using LiveChat as it helps to maintian a strong communication with the website users"
We are using LiveChat for more than a year and we are really happy as the customer base of our product began to grow as we implemented LiveChat on our website. It really helps to maintain a strong communication with our customer base and to help them chat about queries in real time. In the mean time we are also using this great platform on our internal systems so that we can help our system developers sort their issues and continue working in real time. The online validation of the site to check if the code is implemented on the website takes al long time to load and to see on the live website. We request to fix this issue fast ! Give more importance to the initial setup as we see it more difficult to setup, Please fix this then you are a great tool ! Our website can now be real time user friendly and all our internal teams are really happy adopting this great tool ! "It's great, what else can I say?" The fact that you can see what your customer is typing in real time and you can start thinking about a solution for their problem. The same thing as what I like - it's difficult not to start typing in the response but once you do, they can see that you are typing something and stop typing themselves. They won't send the message because they're waiting for your message and you can't send your message because it answers the question they won't send. And I don't think there's a way to disable automated greetings. Don't hesitate to contact their support - they're friendly and know their stuff. Customer success. Customers that contact us are more likely to convert and LiveChat fills the gap between rather inconvenient email and personal phone. Plus it comes with a knowledge base (we build it organically, as customers come up with questions) and a ticket system. "Super fast and improves retention, sales and upgrades!" I love that you can see what the customer is typing prior to them hitting send. You can get a real sense of what they're after by following their train of thought. It's wonderful to think you are helping someone right then and there as opposed to plowing through a queue of emails that are days old. People are pleasantly surprised in smaller companies when this is available and it helps drive sales and upgrades! You, the service representatives, really need to explain to your managers that some days are okay for up to 3 at a time but other days it's all you can do to keep up with one in a professional and accurate manner. Feeling pressured to answer more than 2 at a time because another rep is able to do so, whether they do it well or not, is an added stressor. Try it out and have a team member try it with you. It is really satisfying to be able to help someone in the present rather than responding to an email. I also suggest just trying with a limit of one customer at a time during a slower time so you can get the feel of manuevering around the product. Which program people are wanting to sign up for at the time and helping to clarify questions that might be difficult to find in a FAQ page. Also, it's great that it can integrate with Desk and other apps. It really helps drive sales for those on the fence and help with upgrades. It also really pleases people when they do write in and get a response to a difficulty they're having in real-time. "LiveChat is a great software solution to eliminate non-real time communication in your organization"
I like that it is an embedded live chat solution for my normal educational website and mobile platform. LiveChat can let you and your team connect to the people visiting your web properties, in real time. Most software does not allow you to communicate with subordinates and supervisors in your organization with the speed that I have witnessed with LiveChat. Sometimes the LiveChat toggles & seems to slow down at certain parts of the work day. This however, could be due to the One System software that I was using to grade tests and not due to LiveChat itself. LiveChat can really make a difference in your organization. Real-time is the way to go. This software can bring your organization into the 21st century. Very easy to use software to communicate with your employees/employer. LiveChat allows the employee/employer to quickly in real time conversation(s) contact each other. Saving the company time & money. Employee/customer issues/inquiries/concerns are presented right away. Since, LiveChat is an online customer service software with live support, help desk software, and web analytics capabilities, it really can help an organization come into the 21st century with ease. "User Review - Live Chat"
I have used LiveChat on numerous occasions, to communicate with customer service agents across varying industries (banking, service providers, etc.). What I love about Live Chat is the speed of communication and instant accessibility to the agent on the other end. I have never had a dropped conversation or gaps in the discussion from a software perspective. Not a dislike per se, but I get tired of taking print screens to retain proof of the Live Chat conversation; it would be nice if an option to receive a transcript/copy of the conversation was offered at some point in the interaction. Sometimes the dialogue in a LiveChat is the only "insurance" a customer has, so a more efficient transcript option would really be great. Consider the user experience from a perspective of whether LIveChat is optional, timed, or just immediately pops up upon login. On one hand, I don't like this *immediately* popping up just because I have logged into a service portal. At the same time, however, I don't like having to seach for the LiveChat tool. Maybe a timed interaction - something like a quick notice at the 1 minute mark offering help if needed - but also not a disruption to the user experience (the prompt shouldn't hover or be overly clunky to get rid of if the user does not need the help at the moment). As a user, LiveChat helps me multitask; I can be working on emails, reviewing other analytics for work while still communicating with a LiveChat agent and getting traction on my personal account inquiries that I use LiveChat for. Also, I am very sound sensitive and talking on the phone often bothers me; humans on the spectrum often experience stress with sounds/talking/cell phone amplifying sounds, etc. ; I am definitely in this category LiveChat actually helps reduce my stress by providing a platform to type inquiries/correspondence and still have really personable, positive interactions with humans but not be overwhelmed. We have been piloting LiveChat for 30 days and have just converted to a subscription. The main reasons we like Live Chat are: (1) ease of use, (2) excellent customer service, (3) added value to our website, and (4) our immediate availability to our clients. We have only been using LiveChat for 30 days. So far, we haven't found any features that we dislike. Research shows that the ability to chat live leads to a higher execution of sales. Likewise, the ability to chat live adds a great depth to the customer service experience. We have found that, in today's world, people are looking for efficient and immediate answers. Being able to ask the question and receive an immediate answer, instead of waiting for a return call or email, provides a high level of satisfaction to our clients. "LiveChat + ChatBot Automated Selling and Client Needs. " I like that we're able to use LiveChat with ChatBot build without the need of Code as it's a drag and drop function allows us to make responses that match our client needs. With this on our website it allows us to have support on our website 24/7 and ensure that our clients are satisfied with their needs. It comes preset and allows you to customize the chat icon and place it on your website with a snippet of code. I dislike that the feature to pop up the chat bubble after a certian amount of seconds may or may not work depending on the browser you have. Looping is also a feature that takes away the immersion, once you start looping you are able to realize that it is in fact a robot. I can only recommend using LiveChat with ChatBot intergrated to automated your website by building leads and answering simple customer questions. It cuts out alot of work and saves you alot of money compared to hiring a staff soley to chat online. With LiveChat + ChatBot we are able to connect with our customers by giving them the idea that there is someone connected with them 24/7, this helps build value by automating customer support and lead generation to our staff. "Livechat is the industry leader in helpdesk programs." Intuitive,fairly priced and it is packed with industry leading functionalities. I like the daily chat summary and I use this to monitor the average performance of the customer service team at the end of the day ; letting me know the number of chats they responded to,number of chats they missed,and number of lost chats. Of recent,Livechat updated its integration with Zendesk ; allowing our customer care agents to create new Zendesk tickets without leaving the Livechat interface. Nothing.I am completely in love with Livechat,considering it is now over two year since we started using Livechat at Paga,they must be doing a lot right for me to not have a single reservation about them between this period of patronizing them. Livechat solves the problem of providing clients and partners of Paga with prompt and efficient customer support.Livechat provides our customer service staffs with features and qualities which has enabled them perform their customer service duty better. "Livechat makes big financial sense." I like how responses to all customer tickets by our agents go directly into the inbox folder of the customer.Ensuring he/she is unlikely to miss the response.Livechat introduced chatbot to us at Interswitch and since we started having our chatbot respond to customers on the website,there has been less pressure and workload on our human customer service agents. 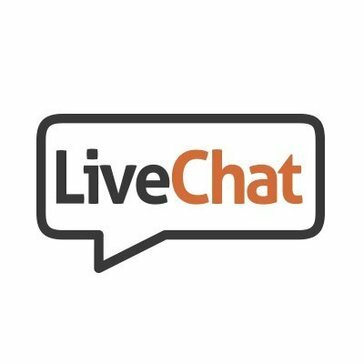 Livechat integrates with some of the most important software we use at work such as Dropbox and Salesforce.It also integrates with our Facebook page as our customers now chat up agents live from a Facebook,without needing to visit the Interswitch website. The Livechat smartphone applicant can only be used to chat with website visitors and nothing more.I cannot create new canned responses via the app. Neither can I add new agent profiles.This should be addressed. Thanks to Livechat,we are able to provide quick and real time response to questions by website visitors and address concerns raised by our customers through the Interswitch website.Maintaining Livechat as our medium of communication has reduced the amount of resources expended on other customer support platforms available to Interswitch customers. "Livechat offers a great support experience." Livechat is intuitive to use for everyone ; customers and support agents.I like the chat widget because it is mobile compatible and fits across all Operating systems and screen sizes,ensuring all of our website visitors have a great and effective experience communicating with the customer support team. I like the quality of support Livechat offers my organization ,the Livechat support team is always helpful,polite and available 24/7 ; basically,my organizations support structure has looked towards the Livechat support structure as a great example to emulate. The inability to respond to tickets opened by customers through the mobile app. I am required to access Livechat on desktop in order to respond to tickets. Livechat is a cost effective medium of communicating with our customers,it is way cheaper than alternative customer support channels like call centers,but way more effective.It is at no cost to the customer and cost my company a token every month. "LiveChat is the best way to connect with customers fast." The interface is easy to use and the platform is solid. It doesn't glitch or breakdown and technical support is just a chat away. Up until recently the only to dislike about LiveChat was that they didn't have a bot platform. However, with the recent (as in days ago) launch of BotEngine, that problem is solved. I highly recommend LiveChat. They are industry standard in chat applications and, now that they have a BotEngine, they are a complete chat solution. **The only exceptions would be that they need to further develop their reseller program and that, as of right now, you can't initiate a tweet via SMS. They need to develop a Twilio integration, but I'm sure that will come soon. Easier Zapier integration would be nice as well. LiveChat makes it easy to communicate with customers on their mobile devices. Since 70-80% of our content is consumed on phones and tablets, this has been extremely beneficial for answering questions and obtain quick direct responses. "Help in every way possible"
The pop up messaging feature is one of the best features about LiveChat. LiveChat is also quite affordable, even for Small enterprises with the lowest packages starting from $16. Setting up is quite easy with very clear instructions. The application itself is fun to use. Livechat also provides multiple articles for trouble shooting any errors. The support team working round the clock to ensure the best customer experience is also highly trained and supportive in any matter possible. One major disadvantage of this application is that LiveChat is not easy to integrate with other CRMs. Along with this, Livechat limits the ability to customize messaging popups. We can adjust the message but we can't adjust them to appear according to the message first received. LiveChat provides an amazing user experience due to its interfaces and great features. I would recommend this to people who are mostly involved in telemarketing or sales. People from such industries need to respond quickly to customers and clients and this is where LiveChat works best. I use LiveChat for Help Desk and the Live Chat features. As am the head of my department in a bank, a lot of customers contact my team regarding the banks services. I have to make sure that my responses to these people are informative and to the point because I can not let a customer walk away without solving the problem. I have to attend to queries everyday and LiveChat is the only way I can do that. "I like the simple and this chat is it." It is a very fast way to connect with personnel support and I also like to type- I communicate better in writing than in person. Maybe create something unique that differentiates LiveChat from others and I will gladly use it more often. A very easy way to connect with the public quickly and effectively, without the need for a professional to integrate it. LiveChat is an amazing way to connect with people, mostly business staff members (the ones I usually encountered) virtually without waiting on hold for hours, and with the ease of a few strokes of a keyboard and mouse. "Always be best with Live Chat"
Very amazing. A lot fun and just relaxful things. I really can't imagine my work without program like that one. So great discuss with customers and more important that fast and with great quality. Really i'm not moaning that it poor or expensive. Its great to have it and of course use it. So i don't have any minuses. Completely happy with it. Thank you. Yes surely I will recommend it to all. Its safe Time. Very easy in installing. Even if you are struggle with it you can have it support so fast. So dont wait. Make choice with Live Chat. I'm using Live Chat all most every day. The huge helper at work and is the great tool which I have.You can increase your business. I really enjoy with it. Need to have it .It's a big help. "A live chat quite complete and with several advantages over others"
What I like most about LiveChat is that it has an easy to use interface, orderly and user friendly setup and one of the best customer service if you do run into a question or problem. The only thing that is dislikeable about LiveChat that very infrequently the server connection drops and is lost for about 10 seconds which automatically ends a chat with a customer. Just do it, trust me you'll like it! It helps me streamline and center all the incoming questions, allowing me to direct them to the appropriate person or department, enabling me to help my customer faster and better. "BEST way to assist customers!" Everyone in the call center is able to pick up slack if someone is overloaded on chats at the moment, and with canned responses if you get the same questions coming in 15 times in a row, it makes the day go by a little bit quicker. Also with the ability to see what the customer is typing before they finish, it gives us time to write up our response quickly and not have them waiting for too long. I wish it were slightly easier to find an agent that you needed to supervise as the Customers page refreshes often. Set up canned responses IMMEDIATELY! It will really help speed things up for your agents AND your customers looking for assistance. Since we use Freshdesk in conjunction with LiveChat, those people that may not get an email response from Freshdesk right away can easily contact us on LiveChat and get their questions answered quickly. "Livechat is the best helpdesk program I have used." MESSAGE SNEAK PEEK : This particular Livechat feature allows me see what a customer is typing before it is sent.Thereby winning me important seconds ,allowing me better articulate my response to their question. CANNED RESPONSE : Majority of questions I face as a customer care personnel from our customers are usually questions that have been asked over and over again by other customers. Canned responses enable answers to these popular and common questions to be saved in advanced on the Livechat dashboard. Thereby allowing myself as an agent to paste these canned responses whenever they are needed,by simply typing the # button on my keyboard. FILE SHARING : There are occasions when a customer needs to send me an image to further provide me with details of whatever obstacle they face while using our service.On such occasions, Livechat allows our customers to send these images via the Livechat interface as against leaving the interface and going to send such files as an email.Which will normally result in more time getting lost. I have huge reservations on Livechat's mobile app. While it makes it easier for agents to communicate with customers while on the move. It is limited in functionality in terms of tasks that can be accomplished within the app. It is impossible to transfer chats through the app, respond to customer tickets or even customize the Livechat account. Livechat provides us with a medium via which customers can reach out to us in real time for free. While also making my organizations support department more efficient in terms of how fast we respond to customers, and the number of customers an help-desk rep. is able to respond to at the same time. "I love Livechats weekly newsletters from Olga Kolodynska." I like the level of intuitiveness which comes with Livechat.It is so easy to use both for me as an Helpdesk agent and visitors to our website alike.It provides our website with a dynamic chat widget which offers web visitors a good experience no matter via what medium they choose to access our website and chat with customer support. Lastly,I am an huge fan of the weekly newsletters we get from Livechat,which guides businesses on ways to better use Livechat to close more sales and at the same time,guides customer care teams on best practices as for modern customer support teams.The last two newsletters which came from Olga Kolodynska and Justina Polacyk both of was very pleasing and gave me insights into how top organizations like Slack and Shopify maintain an high support satisfaction rate. Nothing.Livechat just has a way of getting everything done with style,I am pleased with my experience with this tool over the last 18 month period. Livechat enable my organization stay accessible to our customers every minute of the day via our website.Even on occasions when all agents are offline,customers can simply open a ticket or they can get attended to by our Livechat botengine(simple complaints). Es un canal de comunicación amplio con un gran nivel de interactividad a tiempo real. Es bastante novedoso debido a la facilidad, sencillez y agilidad con la que está diseñado. Muy eficaz y productivo dejando que interactues con el resto del equipo a tiempo real creando un trabajo en equipo inmejorable y equitativo. Una de las desventajas más grandes, son la necesidad constante de una vigilancia las 24 horas del día. Es complicado atender en cualquier momento cualquier necesidad que pueda surgir generando a su vez un sobre coste para el que algunas empresas no están dispuestas a invertir. Genera una fidelidad frente al cliente inmediata, en la cual, la cartera de clientes puede ir creciendo de una forma progresiva y rápida. Al mismo tiempo les aportas una seguridad y garantiza una eficacia frente a cualquier problema que pueda surgir. Es una gran herramienta que consigue simplicidad y a la vez compromiso. "LiveChat Is Where It's At!" It's a new, effective, easily managed communication device to interact with our existing and potential clients. We are also using LiveChat as a training device for new and existing staff as the reports and archives allow immediate coaching opportunities. It would be nice to have access or even a trial access to some of the features the higher priced plans provide (e.g. work scheduler). Give the free trial a go. We knew within a week or two this program would help us grow our business and it was nice to have the free trial to explore this new opportunity before being locked in to a long-term decision. It has allowed us to be a help desk for our newly launched online registration portal. LiveChat has also allowed us to extend our hours we are available to speak with existing and potential clients. People choose various ways to communicate and LiveChat allows access to our business through another medium. "Great for Self-Starting Managers with Internal IT"
The final challenge was pricing, since we were FORCED to migrate to cloud, almost held hostage, as they would not allow us the expansion products with an older site license (server). I recommend the company credit any prior server license purchase, dollar for dollar, migration upgrades. The missed CEO meeting was about discounting our migration, of course! We had to migrate to WebEx for pricing, and dismantle our hopes of the complexity needed. Caution: WebEx says they can do things, but they CAN´T, the sales people don´t understand the chat product with has push but is not nearly as complex as Live Chat. Carefully compare with others. If you need complex routing, skills and sales you MUST use this one. WebEx will lie to you about pricing, and features, because sales team is clueless so talk to EXISTING users of the chat. Ask for a LIVE tour of an operating client interface. In serving credit unions (client) and their members (banking end customers), we were hard pressed to find the scale ability, route ability and skill ability we need. We needed to provide three complete solutions to credit union on B2B: Complete outsource of chat, complete hosted chat solution, and chat as a backup (shared) based on business hours, skills or contact reason. This means host ability, scale ability skill ability and even skill levels, across many channels, topology and locations. Certain hours we needed to back some clients up. It would be a hot mess without the customization and scope of Live Chat core products. We also need three channels: Our in-house support/sales (as well as for our CUSO partners); Internet banking support; and, sales support for clients to members. The complexity grows as do the channels. We also needed a secure URL platform to disseminate logged in, verified online banking clients. In the end, credit union members wanted things that were not appropriate for chat, or for the channel they used, causing member frustration that could not be overcome. "It was great using the Livechat software!" It's a fabulous software. I really liked it . I would 100% recommend this chat software to all my colleagues and friends who would get in touch with me . Keep on your great work. All the Best! . I did not touch base with you since, I know how it works. I have worked with ticketing systems like BMC Remedy for quite sometime . No I do not have any negative points for this as of now. So would not venture into that for now. All my users who wish to get their website made require an interface where they can get offline or online messages from their customers while they interact with their website, this software comes very handy for the same. It's easy to install and simple to use. "Great functionality and easy to use"
LiveChat is really easy to implement, and it is simple. I also like that is more affordable than Intercom. Great for teams that need a low cost solution, and aren't investing the money and energy required to build a fully-integrated inbound marketing system. I sometimes see users transfer a chat to an agent who is away from their desk, and then the chat sits there inaccessible because you can't recall it. I will like to see a better improved mobile app. We should be able to do everything from the mobile app. LiveChat is quick, effective, user friendly, fun to work with, and thus far glitch-free. It is a good support tool for large and medium companies. For small companies, I do not think the investment is justified. LiveChat provides my team with analytical data detailing web visitor interaction with our website. These analytical data helps the help desk team improve the quality of our game while also aiding the product design team to effectively customize our website for maximized sales conversion. "Livechat is great, but could use some improvements"
I dont like the desktop app as it can sometime be buggy. The app has some issues with signing off properly which could cause some chats to be queued up when you are supposed to be offline. Potential clients get an instant contact with a certified account manager and current clients get near instantaneous support. Live chat is dead simple to use, I am a big fan of products that don't try to do everything, but focus clearly at being the best at one specific thing , and live chat is great at live chat. I use pre-surveys, and it would be great if I could hide pre-surveys to logged in users. I did not find out how to do that in live chat. Simply try it, we moved from intercom to live chat because we were not happy with the clunk interface, chats with the same person being sliced into multiple chats and the absence of a pre-survey feature. Live chat filled in the gap and has proved to be an awesome experience for us. Live chat, customer success. It's dead simple, and I love that we can trigger a pro-active chat when we know a user is struggling to talk to us. "LiveChat is great for a quick chat and follow up!" LiveChat is very easy to use and has a great notification system in place to let you know when potential customers come to the sight requesting more information. It would be really nice if you were able to autoassign unopened tickets to reps based on territory. Right now, someone has to manually go in and check for the open tickets. There are a lot of different customer interaction softwares out there. Make sure to check them all out first to see which one fits in best for you as LiveChat doesn't have all automation attached to it that some do. We neeeded a system in place to have easier communication with people on our website. What we realized was that it is a fantastic tool for reports and dashboards to see how quickly tickets are responded to. * We monitor all LiveChat reviews to prevent fraudulent reviews and keep review quality high. We do not post reviews by company employees or direct competitors. Validated reviews require the user to submit a screenshot of the product containing their user ID, in order to verify a user is an actual user of the product. Hi there! Are you looking to implement a solution like LiveChat?